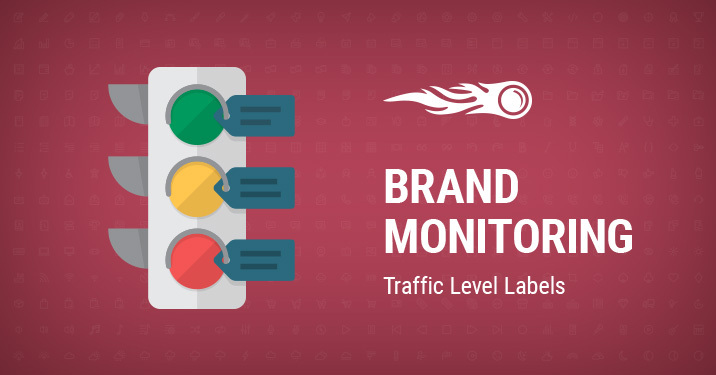 The Brand Monitoring tool continues to provide you with smart ideas on how to keep an eye on your brand’s reputation. Obviously, success involves much work, and the more recognizable on the Web you become, the more brand mentions you have to track. We know how important it is to keep from getting lost in the sea of analytical data and are proud to present a new handy feature in our BM tool – it now shows you some helpful clues on what sites you should pay more attention to, according to the amount of traffic they get. These clues are presented as labels and can be found on mentions’ cards. We take these values from Traffic Analytics and set labels relative to the domain with the highest number of visits among all domains with mentions found in the campaign. 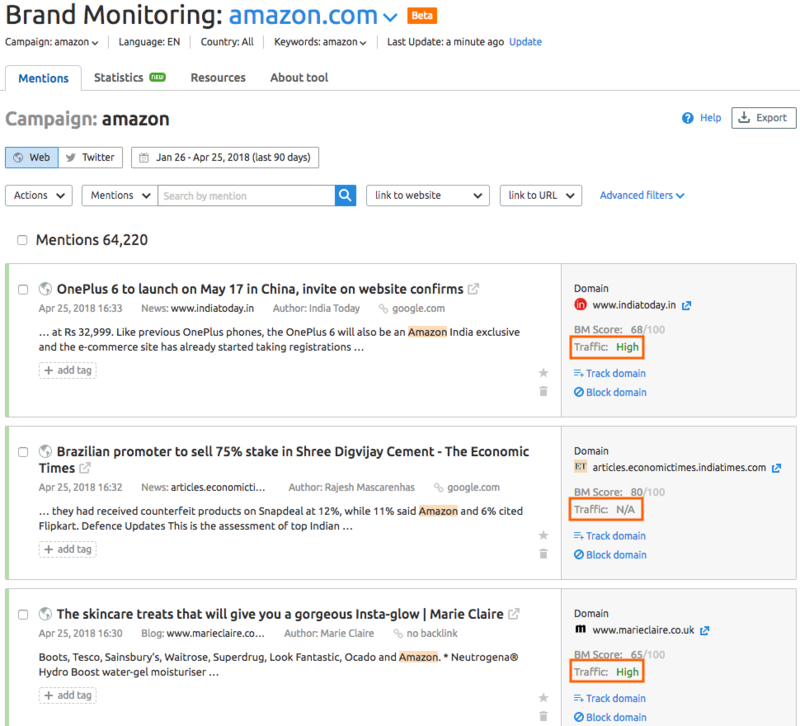 We show tips with label explanations and the top 3 countries with the highest traffic if you mouseover the label. Also there is a link to the Traffic Analytics tool (Traffic Overview of a selected domain). In the advanced filters you can find a new Traffic filter. After a recent marketing study, we defined and set an absolute high-label limit – 1 million visits per month. So if the domain with the most traffic among all domains with mentions in your campaign has a traffic value of less than 1 million per month, we will set the campaign’s mentions labels based on the domain’s traffic value. Respectively, if the domain with the highest traffic among all domains with mentions in your campaign has a traffic value of more than 1 million per month, we will set the campaign’s mentions labels based on the exact value of 1 million per month. We hope you enjoy the updated Brand Monitoring tool. In case you still haven’t set it up, give it a go right now! And don’t forget to share your ideas, comments and suggestions by emailing us at [email protected].